Get FREE access to technical analysis from one of the world's leading Independent Technical Analysis Research Houses. Trading Central provides investors with all the necessary tools to help make informed trading decisions through their series of insightful technical analysis reports and daily newsletters. Trading Central has developed a unique methodology resulting from years of research and development. The relevance of their approach has been time tested and validated on the main asset classes, in all market configurations. It suits all investment horizons, from intraday to long-term. Trading Indicators are plugins which can be loaded on to a chart to help you identify high probability trade entry and exit points. We are offering new live account holders the opportunity to benefit from the Trading Central Indicator series by pre-installing them on your ONE | MT4 trading platform. 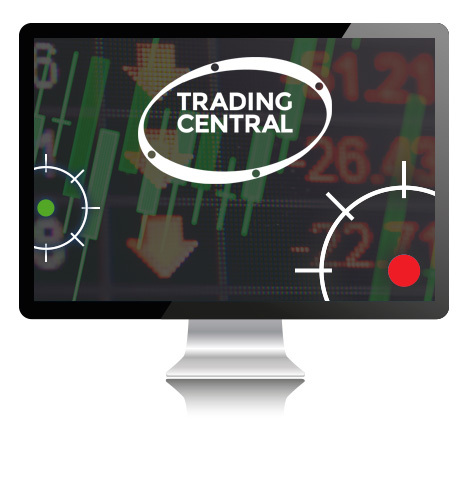 To access all the features and benefits of Trading Central, open a Live Account today. Please note that this is a limited service provided to existing clients by request only. In order to sign up for Trading Central you are required to email us at clientservices@ofmarkets.com. To learn more about how they use your personal data, please click here. If you wish to unsubscribe from daily analysis or trading news, please click on the link provided in the email or alternatively contact our Client Services team for assistance. All content and trading signals are provided by Trading Central and are for your information only. One Financial Markets has no involvement in the production of the trading signals provided. Any opinions expressed are solely for general market information, commentary and educational purposes and do not constitute investment advice in any way. One Financial Markets expressly disclaims all liability from actions or transactions arising out of the usage of this content. By using our services, you expressly agree to hold One Financial Markets harmless against any claims whatsoever and confirm that your actions are at your sole discretion and risk. Forex trading and margin trading carries a high level of risk and may not be suitable for all investors. It could also result in losses equalling to or exceeding your initial investment. Before deciding to invest in Forex trading or margin trading, you should carefully consider your investment objectives, level of experience and risk appetite.